A classic Disney Little Golden Book, starring Mickey Mouse, Donald Duck, and Goofy, in their own version of the fairy tale Jack and the Beanstalk. Mickey Mouse stars as a peasant who finds some magic beans in Walt Disney's classic fairy tale Mickey and the Beanstalk. 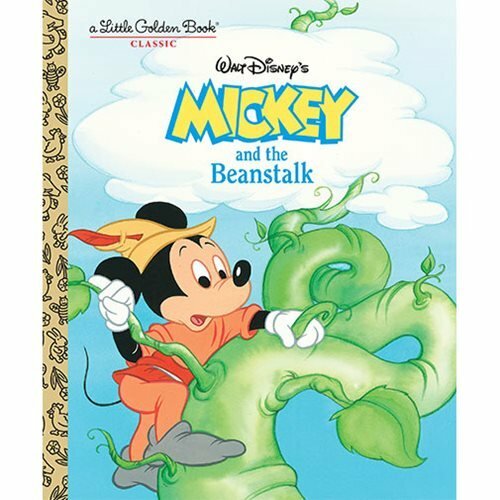 This Disney Classic Mickey and the Beanstalk Little Golden Book is based on the animated movie originally released in 1947 as one of the two stories in the film Fun and Fancy Free. The 24 page book measures about 8-inches tall x 6 3/5-inches wide.